The thought of a fire in your own home is unthinkable. Nonetheless, it pays to be prepared. While many consider the flames of a fire the most destructive, smoke is often overlooked until after the event. Charring walls and ceilings, coating everything from furniture and appliances to clothes, smoke does more than simply stink. Left unchecked for a seemingly small amount of time, smoke damage can destroy your home from its contents all the way down to the structure. Keep a list of your possessions, noting their real worth before the event of a fire. This list can include a written list, photos, and/or video footage of the contents of your home. Be certain to save a copy offsite in the event of catastrophe. Important papers, files, and other valuables should be properly stored in an airtight, fire-resistant container. 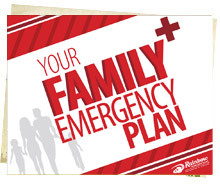 Make these part of your “grab-and-go” emergency exit plan. Obtain the right homeowner's insurance for your needs. A smoke damage insurance claim can be denied if you do not have adequate coverage. Many insurance companies consider smoke a pollutant, and as such do not provide coverage. In the event of fire and smoke damage, you may be unable to live on the property until restoration is complete. Plan ahead, so you won’t be overwhelmed and confused immediately after the event. This could be a relative’s home, or a pre-chosen hotel covered by your homeowner’s insurance company. Like preparing for shelter, keeping the name of a trusted restoration firm on-hand ensures your chances of successful recovery in this extremely time-sensitive endeavor. Be certain they are licensed, insured, and IICRC (Institute of Inspection, Cleaning and Restoration Certification) certified, with the training and experience necessary to know how to safely return your home and valuables to their original condition. Turning off heating and ventilation equipment can lessen the spread of smoke damage. Following smoke infiltration, ventilating your home as quickly as possible (by other means aside from your HVAC system) can help reduce damage and odors. Industrial fans angled towards windows and doors can help remove smoky air from inside your home. To avoid health issues and permanent damage to belongings, do not attempt any other cleaning procedures until you contact a restoration pro. Keep doors and windows closed to keep smoke out. Close the fresh-air intake on your HVAC system to prevent outdoor contaminants from getting inside. Keep replacement filters on-hand to ensure added filtration. Seek emergency shelter when necessary. While common swimming goggles can offer some protection for eyes, paper surgical masks and dust masks commonly found your local box store are designed to trap larger particles – not those of smaller soot and smoke. Masks must be specially rated to filter out these contaminants, such as N95 masks. Keep an eye on loved ones. Children and older adults are more likely to be effected by smoke, as are those suffering asthma, lung, and heart diseases. Protect your family, your home, and belongings. Contact the IICRC certified smoke damage restoration professionals at Rainbow International® today.